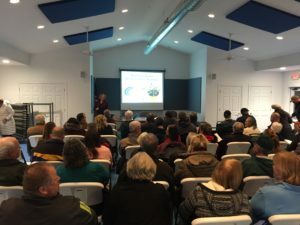 On January 30th, Waterloo Township held an informational meeting on Bringing Better Broadband to Waterloo. 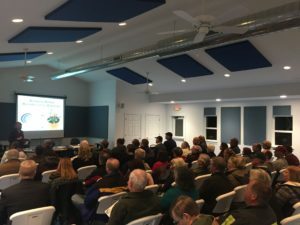 Approximately 75 people attended filling the township hall (see photos). The residents were very eager to learn how they too could have access to high speed internet. After the presentation, there was an engaging question and answer session. The feedback was very positive. A special thanks goes to Lyndon Township resident Gary Munce. He shared with the group Lyndon’s quest for better internet and an update on the build out of their community network. Currently a petition is circulating in support of the feasibility study. On February 27th, a number of residents will attend the township board meeting to discuss next steps for our community. Please consider joining the discussion at the Waterloo Township Hall 7:00 pm on Feb. 27th. Posted in FrontPage, Updates, Waterloo.